I should never have said that I haven’t been ill since the beginning of September in my last post – I should’ve known better…Now I’m not only uncomfortably close to popping, but I have a nice little cold as well! So I’ve spent a fair bit of time resting at home taking photos of flowers, trying out new recipes and doing jigsaws. 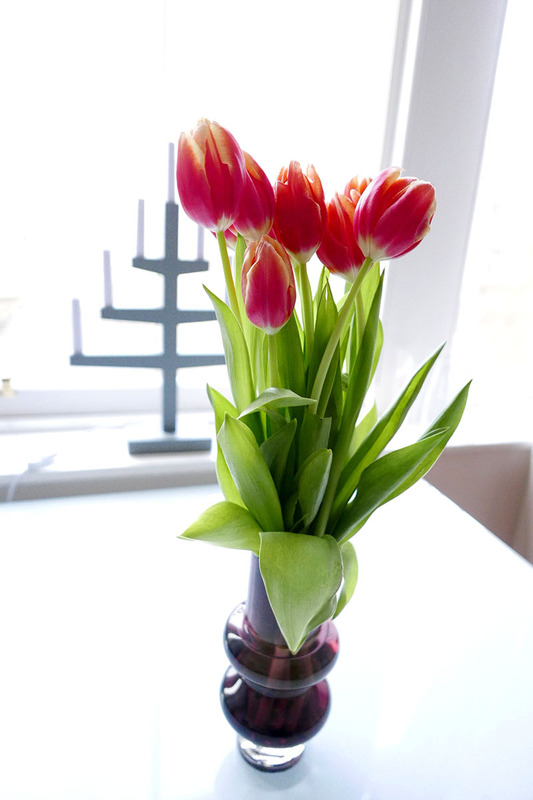 Wish we could have fresh flowers at home every day – they’re just so beautiful to look at! I’ve tried some new recipes, for example this simple Italian Panzanella salad that turned out really well (I didn’t add anchovy fillets nor capers). My attempt at a zucchini cake wasn’t as successful – it was probably the most dense and sweet cake I’ve ever tried! Needless to say, most of it ended up in the bin. I’m quite confident that we now have pretty much everything a baby could need, which makes me feel prepared and calm if nothing else. Here Matthew’s trying out the activity mat his sister gave us – he better let the baby use it as well.